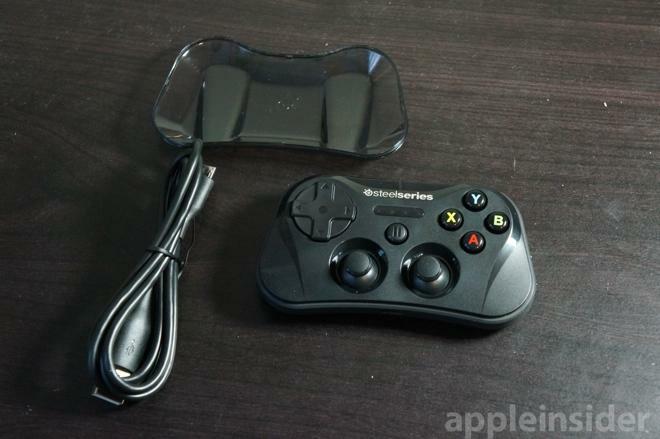 The Stratus marks the third official Made for 'iDevice' controller to hit the market, and the first with a wireless-only design. 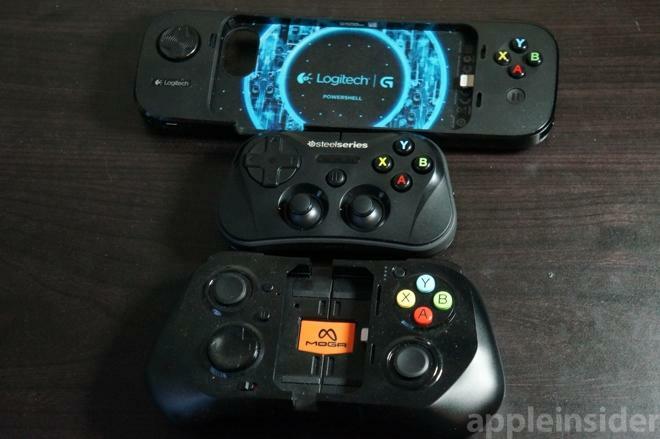 Previously, AppleInsider reviewed both the Moga Ace Power and the Logitech PowerShell, two accessories that only offer iPhone connectivity through the device's Lightning port. 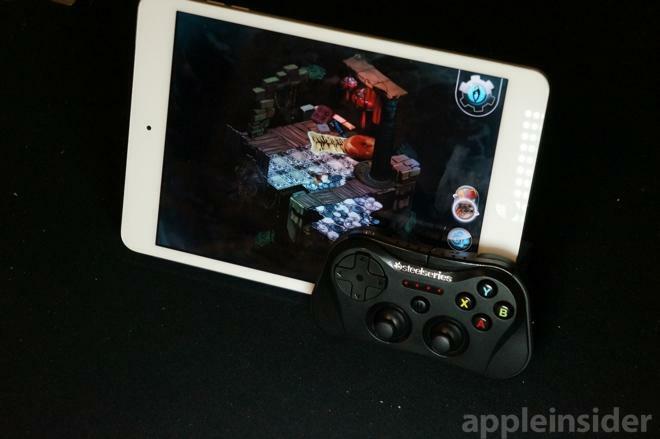 For the purposes of this review, SteelSeries provided us with a pre-release version of the Stratus wireless gaming controller, which retails for $99.99, as well as an iPad mini with Retina display, preloaded with a handful of controller-compatible games. There's not a lot of wasted space in the design of this controller from SteelSeries. Though it's remarkably small, the front face still includes a rather large D-pad, two separate joysticks, four face buttons (A, B, X, and Y), a pause button, and series of LEDs that indicate the player number. Perhaps even more impressive, the Stratus also includes four shoulder buttons atop the tiny device, named L1, R1, L2 and R2. The inclusion of two sticks and eight buttons is important for guaranteeing future compatibility with more complex titles akin to those available for PlayStation or Xbox. This stands in contrast to the Logitech controller we reviewed, which features a D-pad with no joysticks, and only two shoulder buttons. We found that the Logitech would have limited appeal for use with traditional 3D games because of these omissions, but thankfully we can't say the same for the Stratus. Beyond its buttons, the Stratus also features a Micro USB port on the bottom of the controller, while its right side has a switch that enables or disables Bluetooth. The back has a button that can be pressed to re-sync with a new device, and we found pairing it with our own iPhone 5s and iPad Air, as well as the provided Retina iPad mini, was as simple as you'd expect. The Stratus is remarkably light—ï¿½so much so that when we first picked it up, we checked to see if we needed to insert a battery somewhere. But the affixed battery is installed in the controller, with a dedicated micro USB port on the bottom for recharging. The small size of the controller does cause some expected drawbacks with regards to comfort. Understandably, the controller feels a little cramped, particularly with the layout of the shoulder buttons. The L1 and R1 buttons up top are thin and elongated, placed closest to the face of the controller and distinguished with raised bumps that allow a user to easily feel them on their fingertips. We found these buttons were easier to locate and press than the thicker R2 and L2 buttons below, which are centered and do not run the entire length of the top of the controller. That SteelSeries managed to successfully fit all four shoulder buttons onto the controller is an impressive achievement. And after some practice, we found that the buttons were indeed usable. But gamers with larger hands may want to try before they buy, because handling a controller this small could be a chore for some. SteelSeries commendably attempted to address these size issues with the inclusion of a clear plastic backing accessory, which adds a little more depth to the controller if users wish to attach the piece. We found that the controller was indeed more comfortable in our hands with this piece attached, though it was prone to falling off somewhat easily. When placing the plastic back extension on the controller, the wireless sync button is covered up. The plastic back includes two grooves on each side, which act as natural places for your fingers to grip the device. The controller's protruding joysticks are also appreciated, but seem like an odd choice for a controller that is clearly focused on portability. In contrast, the only other dual-stick Made for iPhone controller on the market, the Moga Ace Power, features sliding circle pads that lay flat on the accessory, aiding in portability and reducing the risk of breakage. Given the small form factor of the Stratus, we can't help but feel that sliding circle pads may have been a better joystick option. While they are indeed inferior to full-fledged joysticks, the SteelSeries controller is intended for maximum portability. That said, the protruding sticks do feel durable and we were given no indication that they might have issues from regular daily use. And while we were somewhat concerned about the wobbly construction of the Moga when it was not plugged in, we have no such issues with the build of the SteelSeries model. This feels like a solidly built product that should last if treated properly. It's also infinitely more pocketable than both the Moga and Logitech offerings. Even when the collapsible Moga is shrunk down to its smallest size, the Stratus is little more than half its size, and can be carried in a pocket with relative ease. As we acknowledged in our previous controller reviews, the current Made for iPhone accessory gaming experience is a mixed bag. Unfortunately, much of that blame falls on game developers and Apple itself. 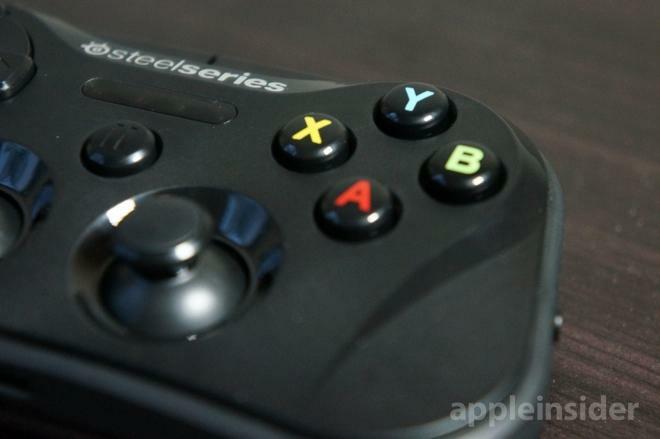 Assessing the SteelSeries Stratus on its own as a gaming accessory, we're pleased. The controller does a commendable job of fitting all of the expected buttons for a modern controller into its small size. It's really quite an achievement, all things considered. There was a little bit of a learning curve with the top L and R buttons for games that use them. Specifically, we found that sometimes we weren't properly pressing the R2 button hard enough when attempting to accelerate a car in Grand Theft Auto: San Andreas. After a few minutes of use, however, we found that we became acclimated to the controller's small and unique size. For the average mobile gaming session, this accessory is likely enough for most users, though hands may begin to cramp up with such a small controller during extended play sessions. While we question the use of protruding joysticks on portable-focused controller, we can't fault the feel of these. They're slightly on the stiff side, but we didn't have any problems steering a joyride in GTA or popping off headshots on zombies in Dead Trigger 2. This selection of titles provided by SteelSeries only served to remind us how woefully inadequate the App Store currently is in that regard. 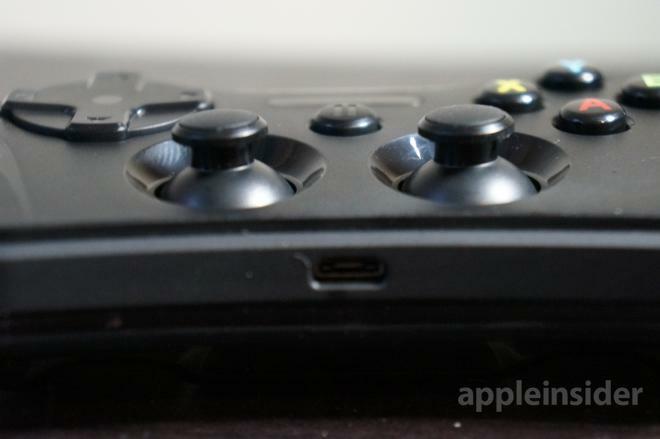 In our view, Apple needs to have a section of the App Store devoted specifically to games that feature controller compatibility. Further complicating matters is the fact that there is no default, standard identifier on specific games as to whether or not controller support is offered. Even more frustrating is the fact that Apple already has a "Supports" subheading on App Store listings, where it identifies titles that include Game Center integration. Simply adding an icon and identifier to this section of apps would be a big help for finding compatible titles. Apple is not the only party to blame as developers have their share of problems in current titles. For example, while input in Bastion is greatly improved with a controller, there are still elements of the game that needlessly continue to rely on touchscreen input, such as navigating in and out of some of the game's menus and storefronts. Ultimately, developers may choose to require both physical and touchscreen input on their titles —that combination has also been done to varying degrees of success in titles for the Nintendo DS and 3DS, as well as Sony's PlayStation Vita. 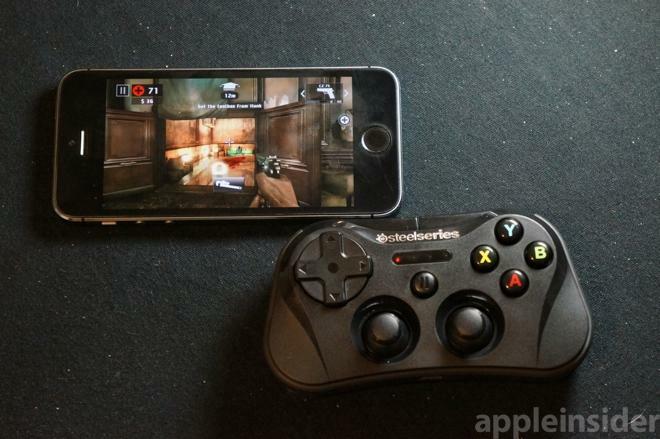 But for now, controller support on iOS feels half baked in some games. Finally, there's the wireless nature of the controller. Because it's an entirely separate accessory, using the Stratus with an iPhone on the go may be tricky for some users, as there's no place to hold Apple's handset. This is in contrast to the Moga and Logitech offerings, which actually hold the iPhone. The SteelSeries controller may not be a great option for gamers who want to get a quick fix in on the subway, for example. We can't knock the Stratus for this, though, because a wireless controller also offers numerous advantages and flexibility for gamers. Ultimately customers must decide which form factor is ideal for their gaming sessions. 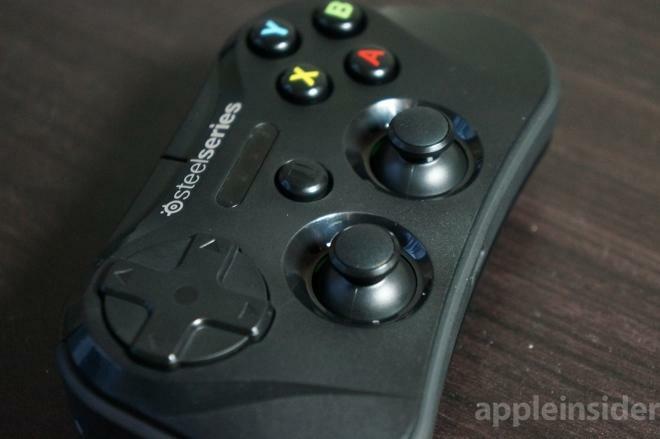 As only the third Made for iOS device gaming controller to hit the market, the SteelSeries Stratus doesn't have a very high bar to exceed. While we saw merits in both earlier options, we felt like the Moga Ace Power was a better choice for gamers, though we still came away disappointed with the hefty $100 price tag. 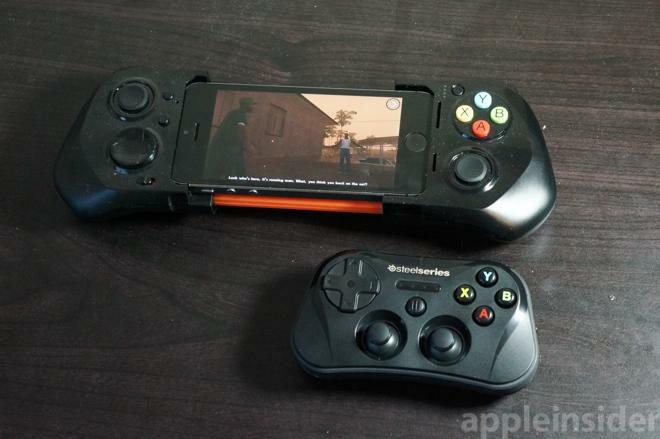 For now, it's an easy choice: Gamers looking for a fixed, attached controller for their iPhone, and who like the benefit of an added battery to recharge their handset, can choose Moga's offering. 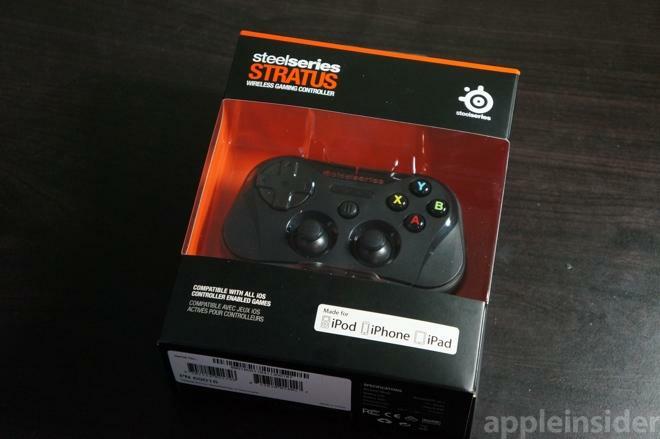 But if you're looking to game on your iPad, or you want a more portable controller, the SteelSeries Stratus is the way to go. 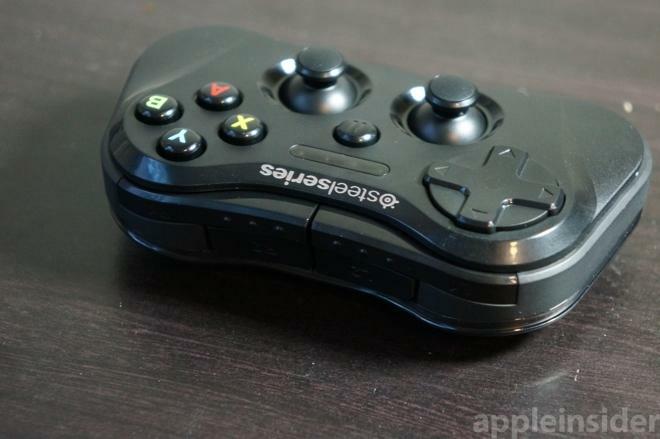 Unfortunately, like the Logitech and Moga before it, the Stratus is also set to retail for $99.99. And unless you're a very serious iOS gamer, it's hard to recommend any controller accessory at that price. In comparison, wireless controllers for Microsoft's newly released Xbox One and Sony's new PlayStation 4 cost $60. And at that price, they even offer greater functionality, such as microphone inputs, rumble feedback, and a dedicated touchpad on Sony's DualShock 4. SteelSeries even sells a Bluetooth controller for PCs and Android tablets with a similar design and form factor, and that device sells for just $60 —$40 less than the Made for iPhone equivalent. This product would be difficult to recommend to the average user at $60, let alone $100. 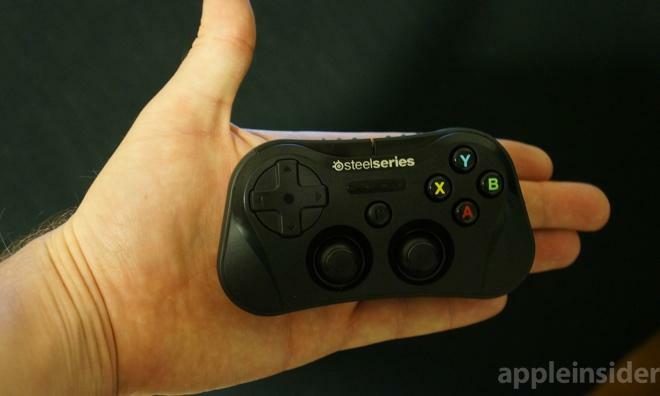 That said, SteelSeries has done a good job of differentiating its controller, making it not only the first wireless option made for iOS devices, but also giving it a compact design that's easily pocketable and ideal for mobile games. It's an impressive, tiny and portable design that we believe will appeal to a certain subset of gamers who may not mind the price tag. For U.S. customers, the Stratus is advertised to begin shipping within 30 days direct from the company. It is not yet available for preorder from other retailers.